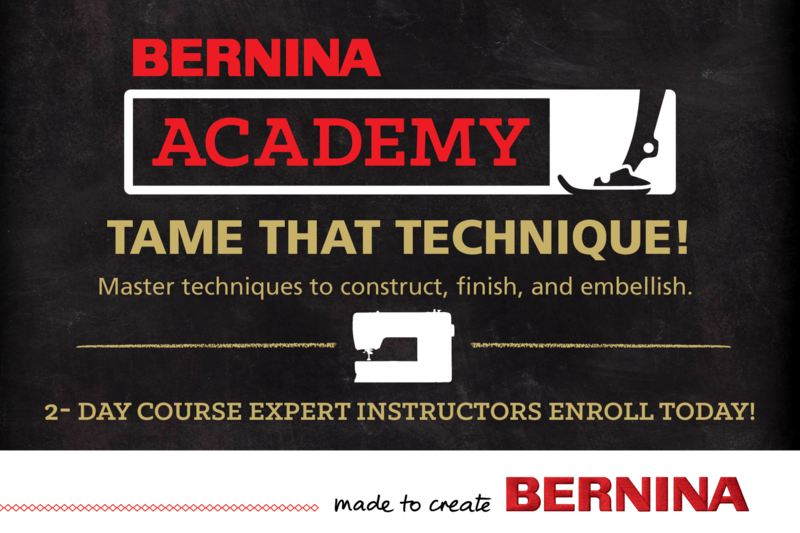 You will graduate BERNINA ACADEMY with a completed BERNINA Academy II Technique Book. In addition, as a graduation gift, you will receive the collectible BERNINA Academy USB stick which includes information on the different techniques, needles, inspirational projects and instructions to inspire you long after the course is over. Kits for all the projects, lunch and snacks included!